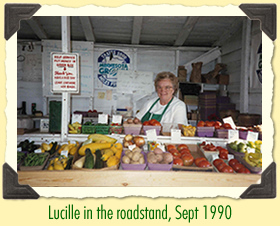 Throughout the summer customers can shop our Roadside Stand for produce grown and picked fresh from the fields of Waldoch Farm in Lino Lakes. This is the same building Great-Grandpa William built & sold fresh produce out of during the great depression. 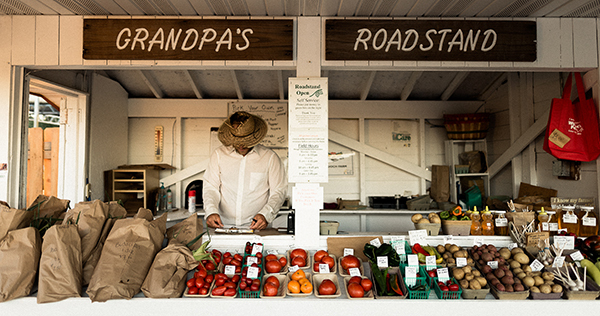 Our sweet corn is picked fresh daily, and the pickle list starts getting calls in June. Farmer Doug has been beekeeping at Waldoch Farm since he was 14 years old. He learned the ways of the Minnesotan beekeeper from Grandpa Dan. We still receive sage advice from Grandpa Dan's brother who has been professionally beekeeping in Florida for the last 50+ years. We generally keep at least 25 bee hives on the farm to serve as pollinators of all our produce crops. The honey bee is the only pollinator that produces an over-abundance of honey, more than they need for the winter. We graciously benefit from their sweet work.